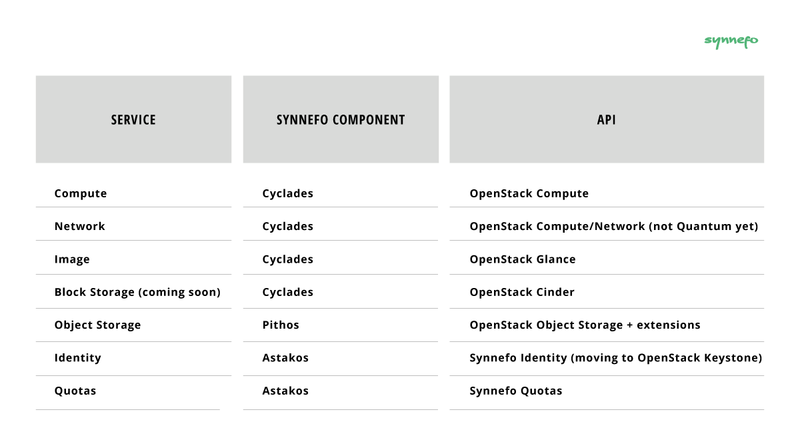 Today, we'll see an overview of the Synnefo Services and the RESTful APIs that enable Synnefo to talk to the outside world and vice versa. To learn more about the APIs, please take a look at the detailed Developer's Guide. 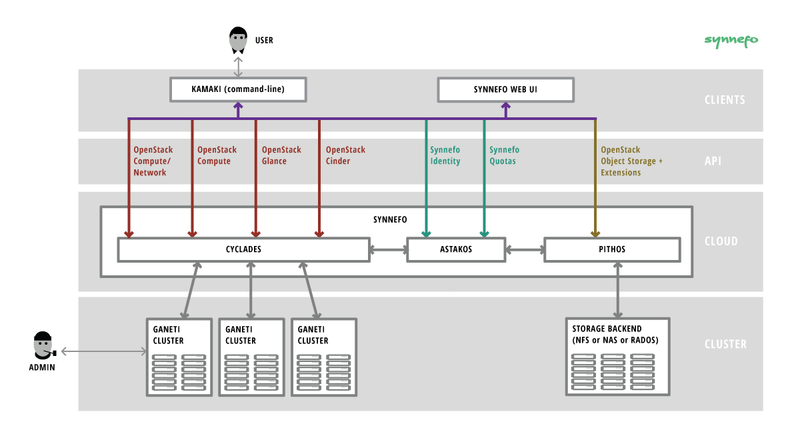 If you want to learn more about the Synnefo architecture, please take a look at the official documentation.